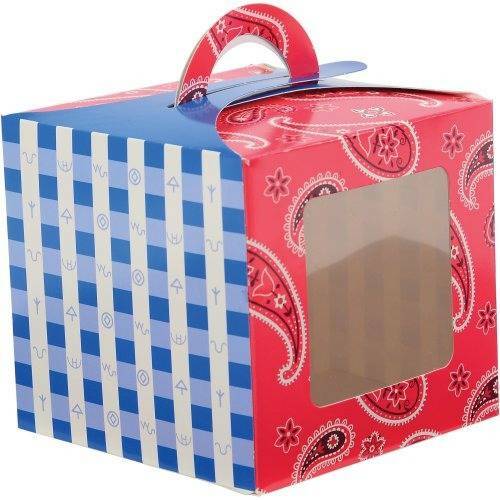 Your cupcakes will round up some fun for guests when they can coral their cupcakes and take them home in these fun western inspired cupcake boxes. 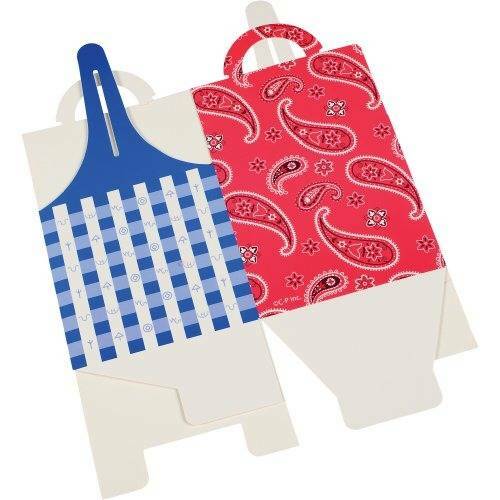 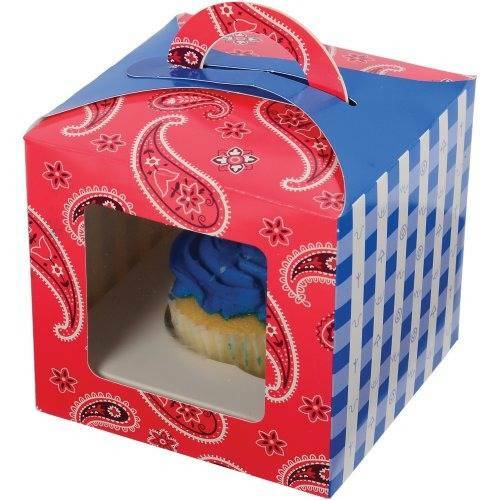 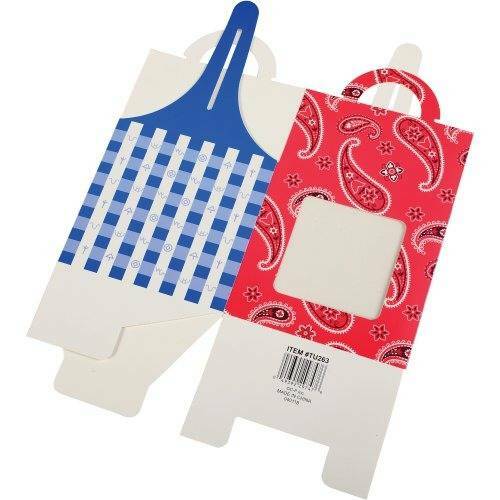 Featuring bandana patterns in red and blue these boxes really make it easy for guests to take home a favor from the party. 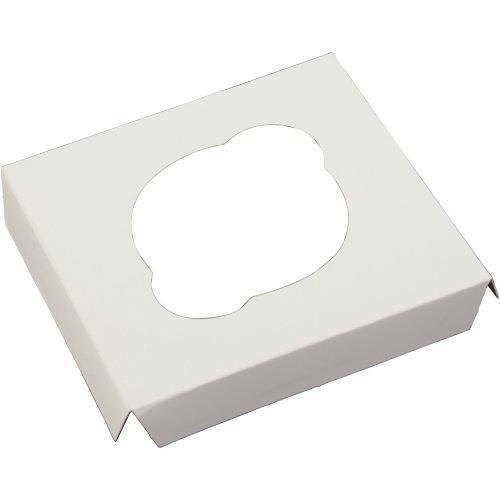 Includes cupcake holder inside for easy transportation.